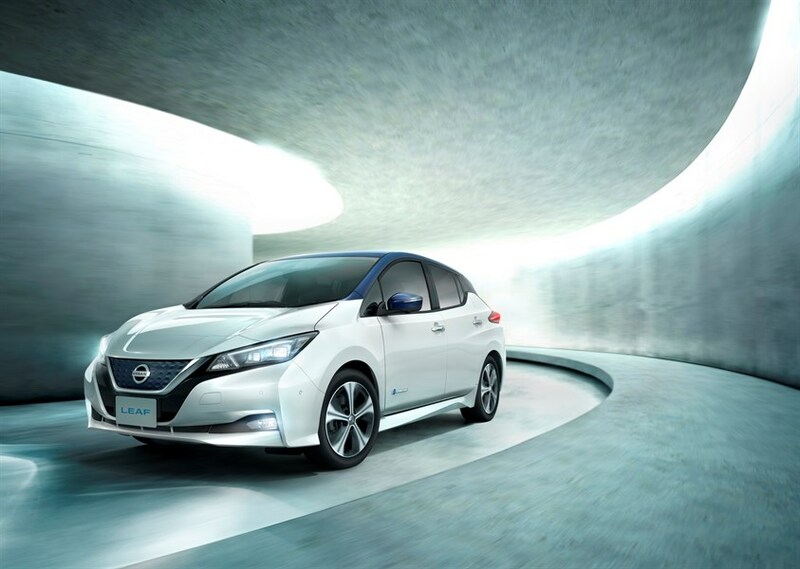 Yesterday, Nissan revealed its new Nissan LEAF, which it claims to be the world’s most advanced mass-market electric vehicle (EV) and icon of the company’s Intelligent Mobility vision. All electric, and packed with ingenious technology, the new Nissan LEAF is the company’s first car in Europe that will embrace the early steps of advanced driver assistance, and is packed with innovations such as e-Pedal, allowing you to drive and brake in a totally new and seamless way. It can also go further, with a range of 378km/235miles on a single charge, and has been redesigned for a new generation, with a sleeker look inside and out. The new Nissan LEAF is the company’s on-road embodiment of Nissan Intelligent Mobility, with its early-stage of ProPILOT technologies, advanced all-electric powertrain and ability to connect to and power the buildings it plugs in to. Along with enhanced energy efficiency, the new e-powertrain delivers an exhilarating, linear driving performance with a power output of 110kW. Torque has been increased to 320Nm, resulting in improved acceleration. The new Nissan LEAF’s driving range has been increased to 378km/235miles (New European Driving Cycle) on a single charge. For those who want to drive their new LEAF further, Nissan will introduce a high-power version with increased motor power and battery capacity at a higher price at the end of 2018. This version will provide an even longer range, giving customers a range choice depending on their driving needs. The third, e-Pedal, is a revolutionary technology that transforms the way we drive. It allows drivers to start, accelerate, decelerate and stop simply by adjusting their input upon the accelerator pedal. When the accelerator is fully released, regenerative and friction brakes are applied automatically, gradually bringing the car to a complete stop. The car holds its position, even on steep uphill slopes, until the accelerator is pressed again. The reactiveness of e-Pedal enables drivers to maximise their driving pleasure when the road opens up. The front features Nissan’s signature V-motion grille, echoing the DNA it shares with Nissan’s other global top-sellers, such as the Nissan X-Trail and European favourite, the Nissan Qashqai. However, the grille’s blue colour, a new signature feature for Nissan’s electric vehicles, sets it apart. The floating roof adds style and a sense of movement. The sleek LED headlamps feature Nissan’s characteristic boomerang design. The new Nissan LEAF’s completely redesigned interior has a tasteful, understated look and feel. This has been achieved thanks to higher quality materials and overall fit and finish, elevating the 'life on board' to be consistent with the refined nature of the drive. Drivers and passengers will immediately appreciate the signature vibrant blue stitching in the seats, dashboard and steering wheel and the new look of the 7", full-colour (TFT) display. The display’s layout has been redesigned for easier access to key features such as the Safety Shield technology, state-of-charge, power gauge, and audio and navigation system information. In some countries, Apple CarPlay and Android Auto have been added to the infotainment system in cars equipped with the navigation system.